The Start of Periodical Studies? 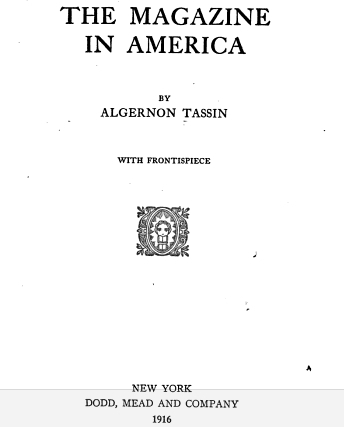 Google Books has available for free download Algernon de Vivier Tassin’s 1916 study, The Magazine in America. 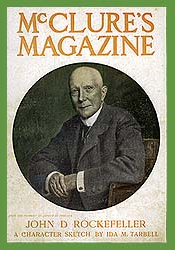 The book collects the pieces Tassin wrote for The Bookman (US) in 1915 and 1916 on the American magazine’s development from the 18th century to the start of the 20th. 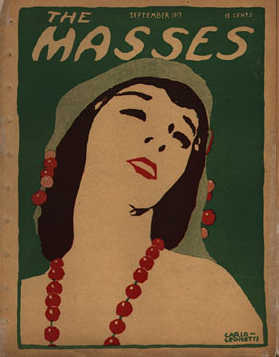 The Modernist Journals Project has received an NEH grant to digitize five new titles. What’s particularly exciting about this news is that they represent a wide spectrum of periodicals. 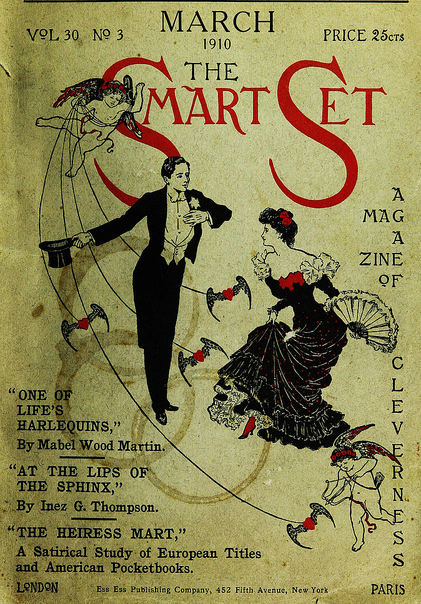 There is the mainstream McClure’s, which had hundreds of thousands of subscribers in its heyday, and the mid-range (in terms of circulation) smart magazine The Smart Set. 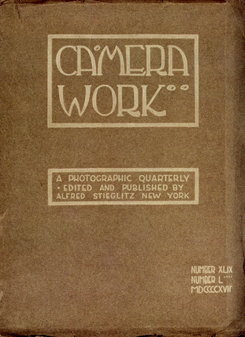 And then there are three magazines often considered littles, although that might be debated with regard to the first of them: The Masses (1911-1917), Camera Work (1903-1917), and The Seven Arts (1916-1917). 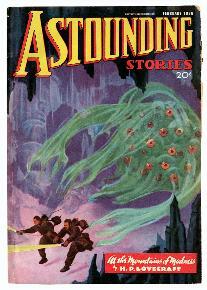 The Palitz Gallery in Manhattan is running a show on pulp magazines. The exhibition “Orange Pulp: The Pulp Magazine and Contemporary Culture” runs through April. There’s a story about it in the the Times today.